their hearts, and who want to partake. 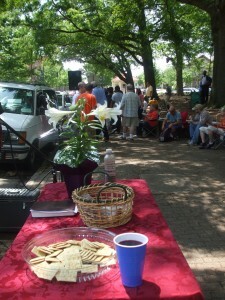 We had a man give his life to the Lord on this day and he took communion for the first time! 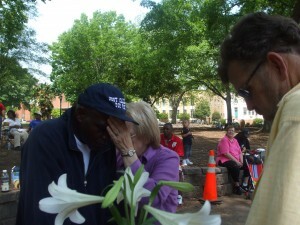 church in the woods, easter on the street, mindy boyd ministry, raleigh street ministry, street ministry. Bookmark. I have been broken and life filled with devastation. I can feel and see in the music and scenes of this video that whoever compiled it has the heart of Jesus. I know that we can find a supernatural presence on Jesus in us if we just die and he comes to live in us.